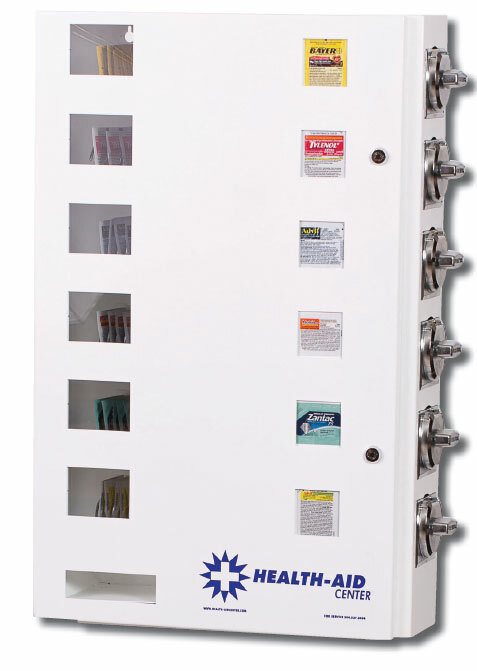 This medical Vending Machine is designed vend over-the-counter (non-prescription) medical products such as pain relievers, condoms wipes, first aid kit, or sanitary hygiene products. 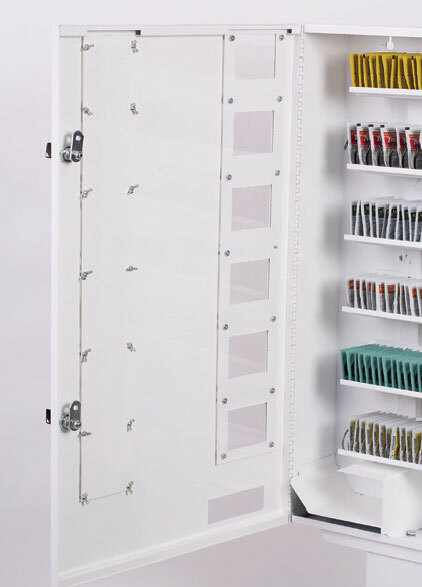 It can hold up to 200 items, offering 6 selections. 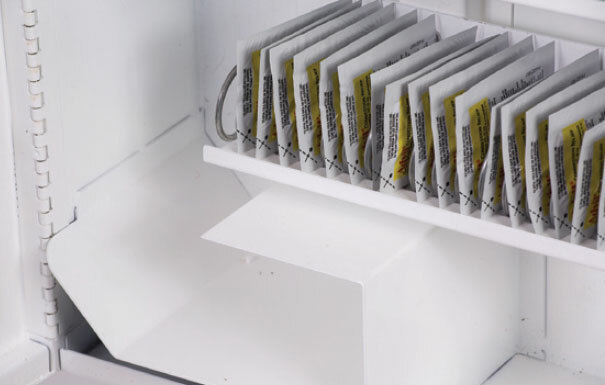 This machine comes wall-mount ready which makes it ideal for vending in hotels, dorm rooms, and anywhere that medical products may be needed.